We will customize a lawn maintenance schedule for your site based on turf growth rate and climate conditions. Our experienced crew employs the most efficient, state of the art, commercial grade equipment to ensure quality results, dependability, & safety. 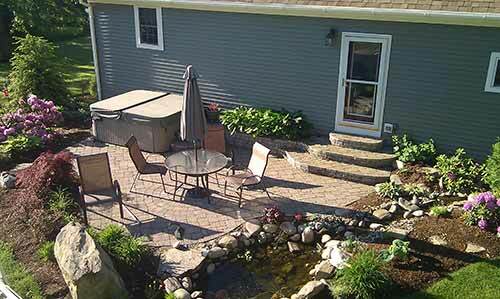 We have both the experience &amp; the right equipment to properly install any hardscape. All base preparation techniques ensure proper drainage and longevity of your valuable investment. We will assist you in choosing the right material &amp; customize a design that fits you. Total Property Care offers snow &amp; ice management services to commercial property owners, residential properties, retail facilities, health care facilities, and apartment complexes. 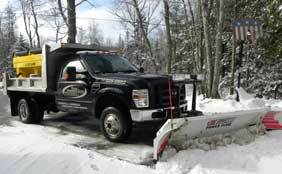 With multiple crews on the road, we are prompt, responsive, and equipped for any weather. 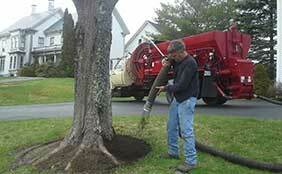 We offer high efficiency bark mulch blowing. Our 10 cubic yard bark mulch blowing truck can handle any size project, large or small. We have always utilized the most efficient equipment in our business. The Mulch blowing truck is the ultimate in efficiency and economy. The end result is a smoother neater mulch application that can be completed faster, saving both time and money. About Total Property Care, Inc. 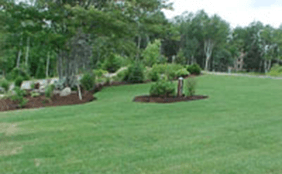 Founded in 1997, Total Property Care, Inc is a full-service landscaping, property maintenance, and snow removal company that serves Belfast and the Mid-Coast Maine area. Our excellence in workmanship, personalized service, and reliability are the qualities that have helped build & maintain lasting relationships with our clients. We stand behind our work and hope to include you as one of our many satisfied clients.